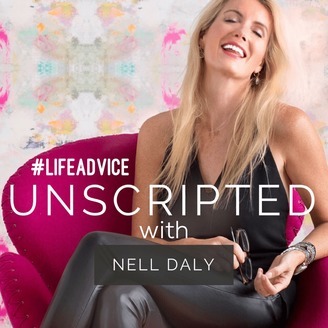 The Unscripted Podcast is HOSTED BY NELL DALY. 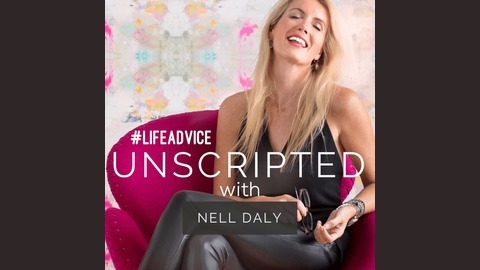 Nationally Recognized PSYCHOTHERAPIST, TV COMMENTATOR and JOURNALIST NELL DALY answers questions about relationships, health, business and human motivation by giving CREDIBLE real-life advice and practical tips to the listener through DARING conversations with: celebs, writes, disruptors, comedians, doctors, feminists (for sure), the famous, the not so famous, the girl next door and your everyman. Filmed live from the Teachable Studios in NYC, you can watch Nell and her guests every week on Facebook at NELL GIBBON DALY. To stay in touch head over to www.nelldaly.com, www.wellandbeing.global (her blog) and @nelldaly. Please subscribe to the UNSCRIPTED Podcast on iTunes, leave us a review and share the love! Shelley Zalis is an internationally-renewed thought leader for advancing equality in the workplace. She’s also the Founder and CEO of The Female Quotient. When she stopped by the NYC studio last week, we talked about how she started The Girl's Lounge and why closing the the wage gap isn't just a social imperative it's a business imperative. Shelley calls herself "a chief troublemaker" and this isn't her first rodeo. She started a research company back in the day, when surveys were just making their way online. She became one of the first female chief executive officers ranked in the research industry's top 25. After selling --and then integrating her company to a French firm -- Shelley branched out again on her next adventure. She founded The Female Quotient. One of her first initiatives -- to create what I would call "a safe space" for women to hang out and network at what are traditionally male dominated events; think Davos and The Consumer Electronics Show. Shelley named it The Girls' Lounge. She believes in the power of the pack. Zalis has interviewed the likes of Katie Couric, Halle Berry, Gwyneth Paltrow, Sheryl Sandberg, Arianna Huffington and more on topics related to equality and leadership. She's also the author of a Forbes column called The Messy Middle. She's also the co-founder of #seeher, a movement led be the Association of National Advertisers to increase the percentage of accurate portrays of women and girls in advertising and media and she is on the board of directors for MAKERS. Why creating community if you're building a business or a life ABSOLUTELY matters with Radha Agrawal.